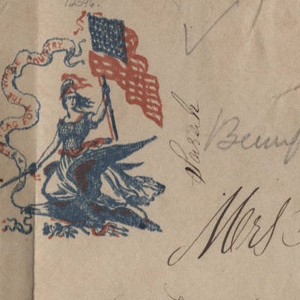 Forty-four letters, 1862-1863, of Union soldier Calvin Shedd, Co. A, Seventh New Hampshire Regiment, are written primarily from locations in coastal South Carolina and addressed to his wife, S. Augusta Shedd, at Enfield, N.H., and South Reading, Mass. Shedd, a first sergeant, later second lieutenant, writes intelligently and with great detail, describing events, people, and places. His letters are noteworthy for their accounts of hospital conditions, portrayed vividly in correspondence penned from U.S. Army general hospitals at Beaufort, Hilton Head, and a field hospital at Folly Island.